Diana Gabaldon’s magnificent historical saga, begun with Outlander and Dragonfly in Amber, continues with this New York Times bestseller. Set in the intriguing Scotland of 200 years ago, the third installment in the romantic adventures of Jamie and Claire is as compelling as the first. Now that Claire knows Jamie survived the slaughter at Culloden, she is faced with the most difficult decision of her life. She aches to travel back through time again to find the love of her life, but, in order to do that, she must leave their daughter behind. It has been 20 years since she and Jamie were forced to separate. Can she risk everything, maybe even her life, on a gamble that their love has withstood the long, rigorous test of time? 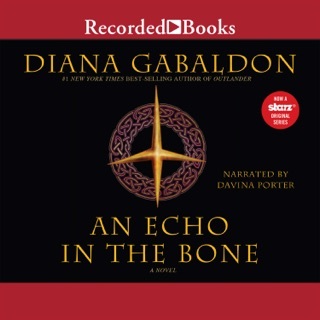 Diana Gabaldon’s powerful, witty, and heroic characters lend themselves well to the rich, melodic narration accorded them by Davina Porter. Under her spell, listeners find themselves transported back through time to exciting faraway places alive with people they would enjoy knowing. 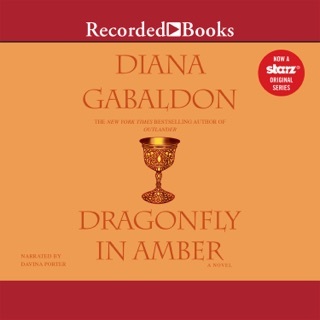 Diana Gabaldon is a consumate storyteller and Davina Porter is on of the best narrators in the business. Gabaldon does a wonderful job dealing with the intervening twenty years between the first book and this one. Our interest is piqued with one character's story line and then we jump to the other person and become even more intrigued with their story line. You wouldn't want to ever listen to an abridged version of these books because you wouldn't want to miss one word. 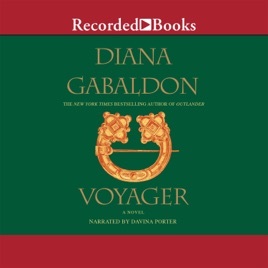 Diana Gabaldon has done it again with Voyager. It's fast and fun and you are on the edge of your seat wondering what will happen next. The characters we love are all in the book and getting into trouble as usual. As I look forward, the only negative comment I have is that the last two books are not available in unabridged versions. I have had bad luck with abridged versions and may wait around for the unabridged versions to come out before buying the last two books, or not buy them at all, which would be too bad. Escape your world and enter Claire and Jamie's Scotland. After reading all of the books in the series I have began to listen to them on my Ipod when I do long training runs. 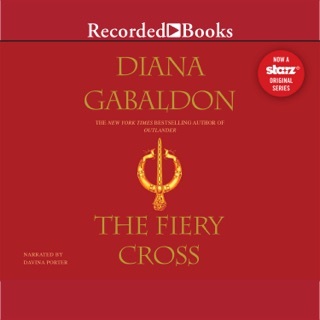 I reward myself for running or going to a workout at the gym by getting to listen to this fabulous series of books. I LOVE the relationships between all of the characters. 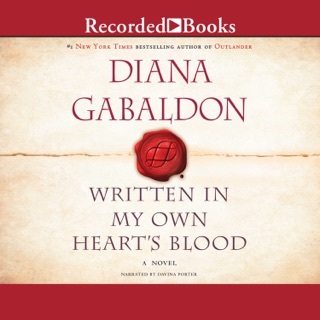 Diana Gabaldon is one of the best authors I have ever read and I recommend this for any admirer of historical fiction. I especially love that Jamie and Claire and married and love each other so much. They respect each other like a man and a wife should respect each other. I feel that there is a bit of Diana Gabaldon in Claire. The characters are so richly described and you get to know them so well. Reading the series the first time around was a wonderful a treat but hearing it brings it to life even more. Don't miss this installment. It was one of my favorites in the series... thus far. I hear she has at least two more books in the works and one is coming out this september. 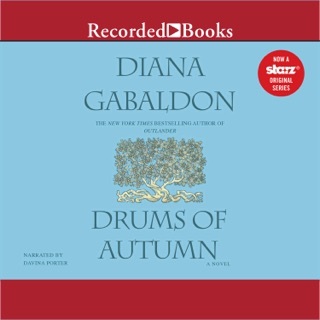 Diana Gabaldon forever!